BTIG, LLC announced today that it will host its 15th BTIG Commissions for Charity Day on Tuesday, May 2, 2017 in the U.S.
BTIG then continues BTIG Commission for Charity Day in its Asia-Pacific and European affiliate offices on Wednesday, May 3, 2017. The two-day event is part of a global initiative supported by the firm’s institutional trading clients, a growing roster of celebrities and employees across four continents. As a result of the event each year, the firm donates to hundreds of charities, many of them supporting children. Philanthropic clients actively participate by nominating well-deserving non-profit organizations to support through the annual event. 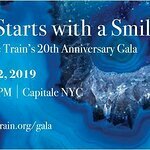 All-star athletes, models, actors, actresses, journalists and other cultural icons also act as celebrity guest traders alongside BTIG’s institutional traders, building excitement for the event and appearing as ambassadors for their charities of choice. Since pioneering its first Commissions for Charity Day in 2003, BTIG has donated more than US$40 million to hundreds of charitable organizations, including over US$5 million from this event in 2016. “This year marks the 15th BTIG Commissions for Charity Day. Each year, we are all energized by the enthusiasm of our clients, celebrity partners and colleagues as they volunteer their time and come together to make a difference in the lives of so many others,” said Scott Kovalik, Chief Executive Officer and Co-Founder of BTIG. BTIG plans to announce their celebrity participants in the coming months. 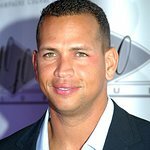 Past celebrity guest traders have included: Alan Hahn, Alex Rodriguez, Allan Houston, Beth Ostrosky Stern, Blake Griffin, Bobby Valentine, Bode Miller, Bridget Moynahan, Brooke Shields, Bruce Beck, Carlos Beltran, Carmelo Anthony, CC Sabathia, Charles Oakley, Chris “Mad Dog” Russo, Chrissy Teigen, Curtis Martin, D’Brickashaw Ferguson, Damaris Lewis, David Diehl, David Muir, David Wright, Doug Ellin, Eli Manning, Geraldo Rivera, Hannah Davis, Hannah Storm, Jeremy Roenick, Joe Girardi, Joe Namath, John McEnroe, Justin Tuck, Kelly Ripa, Kelly Rutherford, Kristin Davis, Lawrence Taylor, Marcus Allen, Mariano Rivera, Mark Cuban, Mark Messier, Mark Teixeira, Matt Dillon, Michael Bloomberg, Michael J. Fox, Michael Kay, Michael Strahan, Molly Sims, Nick Mangold, Padma Lakshmi, Petra Nemcova, Reggie Jackson, Rick DiPietro, Rick Porcello, Ronnie Lott, Shaquille O'Neal, Steve Schirripa, Steve Weatherford, Tom Coughlin, Tommy Hilfiger, Tony Gonzalez, Victor Cruz and Woody Johnson.